Amidst all the equality clamour and the siren voices of secularism, you can perhaps be forgiven for occasionally forgetting that England still has an Established Church, that its status is protected in law, and that Christianity remains the predominant religion in the United Kingdom. But HM Government has just stated this explicitly in a slap down to the National Secular Society. 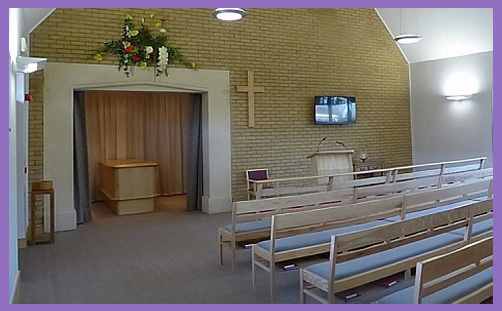 ..while there are often large and very large funerals to conduct, and I entirely support the need for particular cultural or faith groups, I am often in the unhappy situation of conducting a funeral with perhaps six mourners in a ‘chapel’ that accommodates over 100. So while I entirely understand the need for some larger venues, I would appeal 12 for sensitivity that the vast majority are below 50, and many below 20, and it is soul-destroying to feel lost in such a vast space. So please do the ‘cinema’ thing and make sure there are varied sizes. The cost of one small chapel would be a minor cost within a large development, which most new ones will be. We understand that some local authorities ask faith groups to provide their own iconography, prayer books or music, seemingly because of restrictions on the use of public funding for activities of a religious nature… The Government will write to all local authorities to confirm that there are no restrictions on local government revenue spending which would prevent public funding being used for such items…funding of iconography or materials in a public building should not be affected. The Local Government (Religious etc. Observances) Act 2015 makes clear that a local authority in England may support or facilitate a religious event, or an event associated with a religious or philosophical belief. The passing of the 2015 Act was a direct consequence of the National Secular Society trying to ban prayers in council meetings. The Localism Act 2011 helped provide a legal basis for the prayers in 2012, and Eric Pickles then supported a Private Members Bill brought by Jake Berry MP to tidy up the law around it and remove any potential ambiguity. It isn’t every day that we see this stated quite so baldly in contemporary government documents. It confirms the legal constitutional position, of course, but politicians usually leave such utterances for the Queen to make in her annual Christmas speech; its reiteration here is a counterweight to the suggestion that all religions are somehow ‘equal’, or that society should move on (‘progress’) and create bland, neutral places so as not to ‘offend‘ anyone. Incidentally, the NSS are still harassing and bullying small councils in Wales, where the Localism Act 2011 and the 2015 Act do not apply.